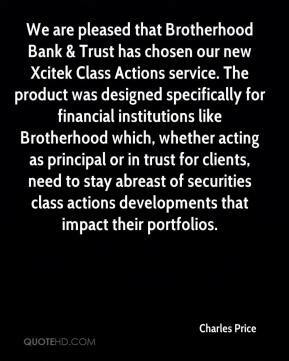 We are pleased that Brotherhood Bank & Trust has chosen our new Xcitek Class Actions service. The product was designed specifically for financial institutions like Brotherhood which, whether acting as principal or in trust for clients, need to stay abreast of securities class actions developments that impact their portfolios. The grizzly bear is there. He originally was here so we can't just really throw him out. 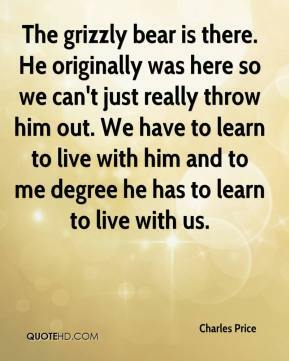 We have to learn to live with him and to me degree he has to learn to live with us. The entire handbook can be reduced to three rules. 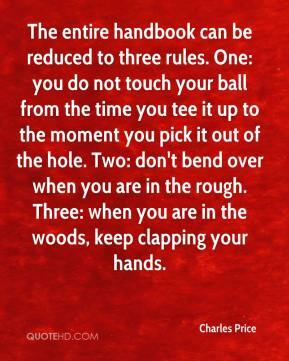 One: you do not touch your ball from the time you tee it up to the moment you pick it out of the hole. Two: don't bend over when you are in the rough. Three: when you are in the woods, keep clapping your hands. 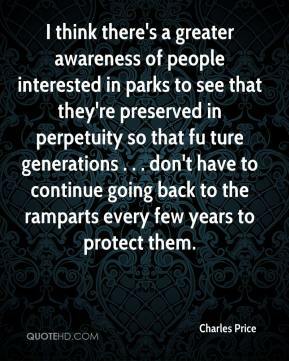 I think there's a greater awareness of people interested in parks to see that they're preserved in perpetuity so that fu ture generations . . . don't have to continue going back to the ramparts every few years to protect them. 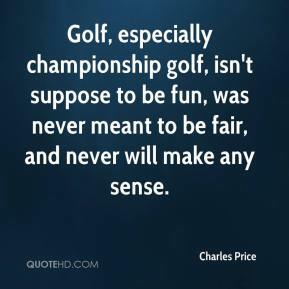 Golf, especially championship golf, isn't suppose to be fun, was never meant to be fair, and never will make any sense. 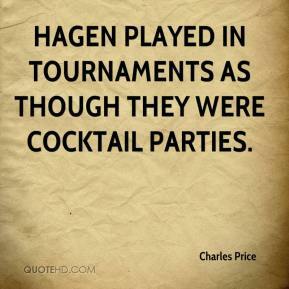 Hagen played in tournaments as though they were cocktail parties. 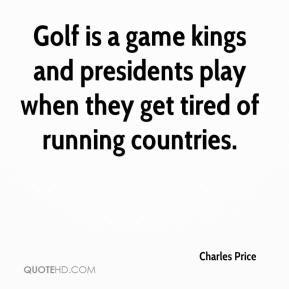 Golf is a game kings and presidents play when they get tired of running countries.